It's really hard for us to say anything nice about former Pinstriped Poser Derek Jeter. But, what's fair is fair. 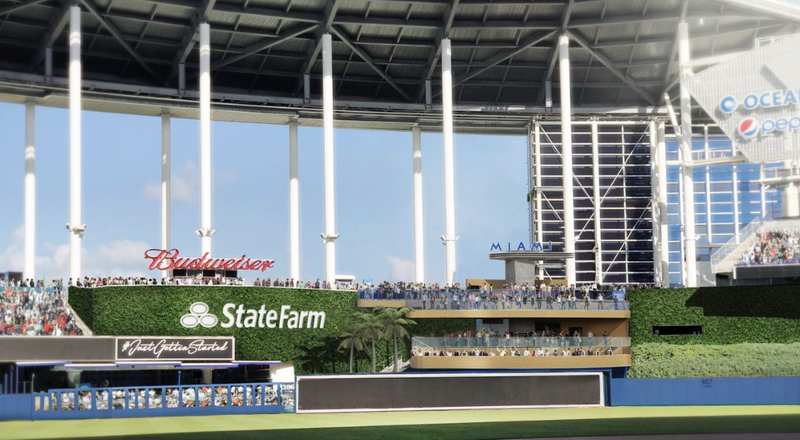 The new owner of the Miami Marlins is doing humanity a tremendous favor—by removing the hideous "sculpture" that once infested center field at Marlins Park. The team has announced that "The Thing That Ate South Beach" will be moved to a remote portion of a parking lot—and center field will be re-designed with a three-tier "social space" for fans to congregate in. Hallelujah! Or maybe we should say, Hialeah! Anyway, Miami is tacky enough without a signature part of their ballpark looking like it was vomited-up by a character in a bad 1986 episode of Miami Vice. In fact, they should invite Don Johnson and Phillip Michael Thomas to ceremoniously bludgeon the sculpture to death with sledgehammers in the parking lot. Good riddance—and good move, Jeter.